Tulips are the perfect flowers to create that wintery atmosphere during AND after the holidays! 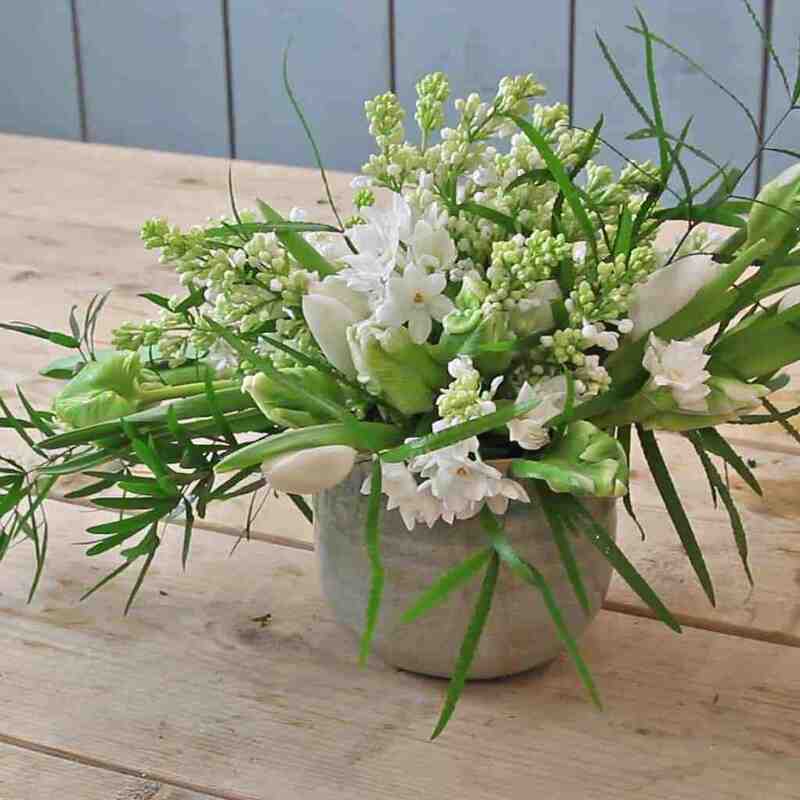 Complete your design with Syringa, Daffodil, and Asparagus for a beautiful look and feel. 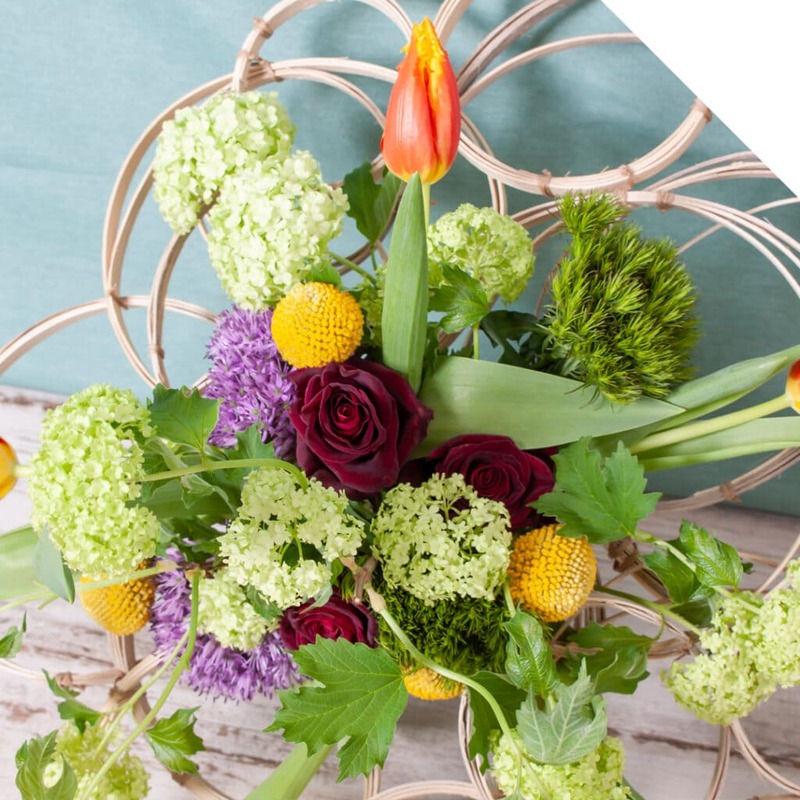 Be inspired by this video tutorial, follow the steps below and create this Winter Centerpiece with Tulips! Put the wet floral foam into the pot. Cut the top of the foam and make sure the top is equal to the height of the pot. Start with the Asparagus. Divide the stem into multiple little pieces and put them into the foam. 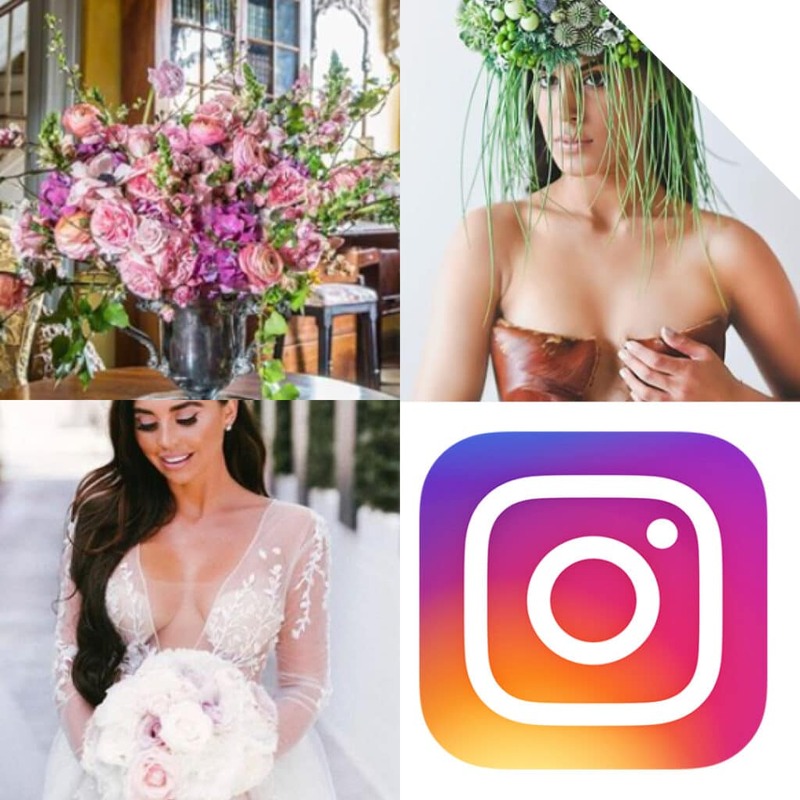 Now you start putting the flowers into your design. Add a stem of Syringa in the middle. Add some Tulips at the left and right side of the pot. Place them a bit horizontally. Make sure you keep the stems a bit longer, so they will bend a bit over to get a distinct look. Then, add the Daffodils, the rest of the Tulips and some more Syringa. 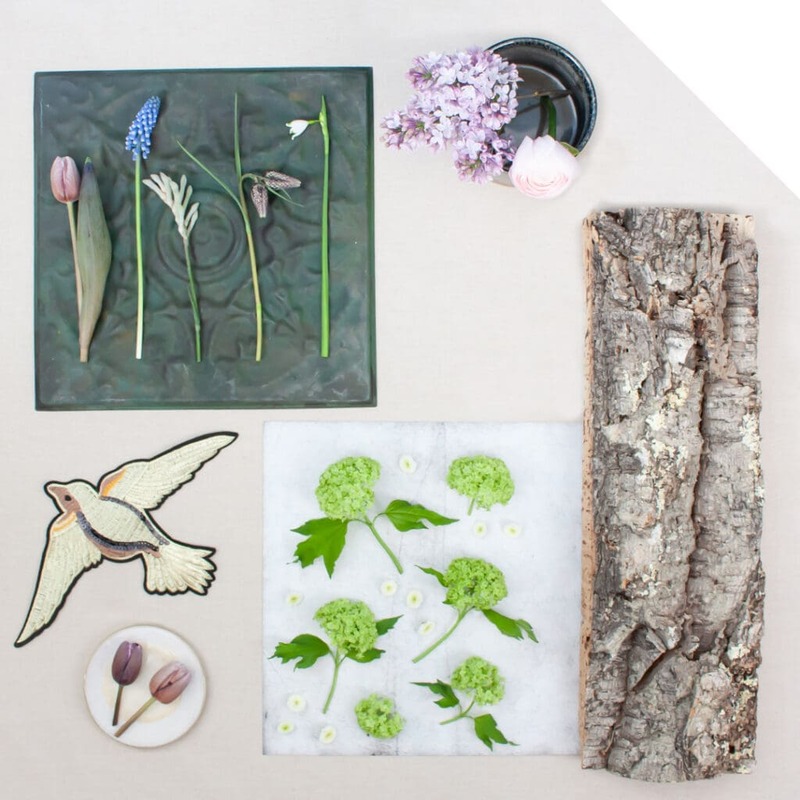 You can divide the Syringa stems into little pieces, so you can divide them better into the design. Your Winter Centerpiece with Tulips is ready for use. Enjoy!